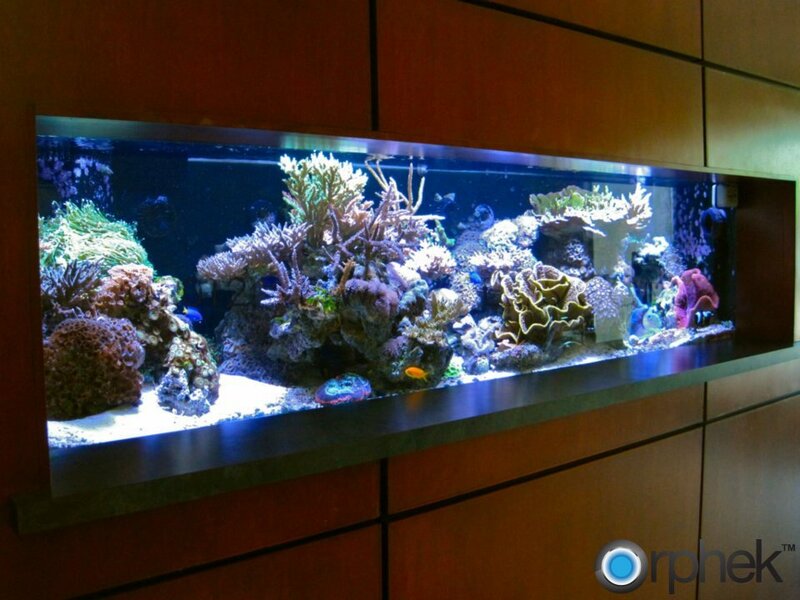 Not long ago metal halide/HQI lighting was the lighting of choice for experienced reef keepers because of their high PAR values which generally exceeded 300+. With the recent advent of LED lighting technologies, many hobbyists were leery about LED lighting because of their seemingly low PAR values and apparent lack of brightness. 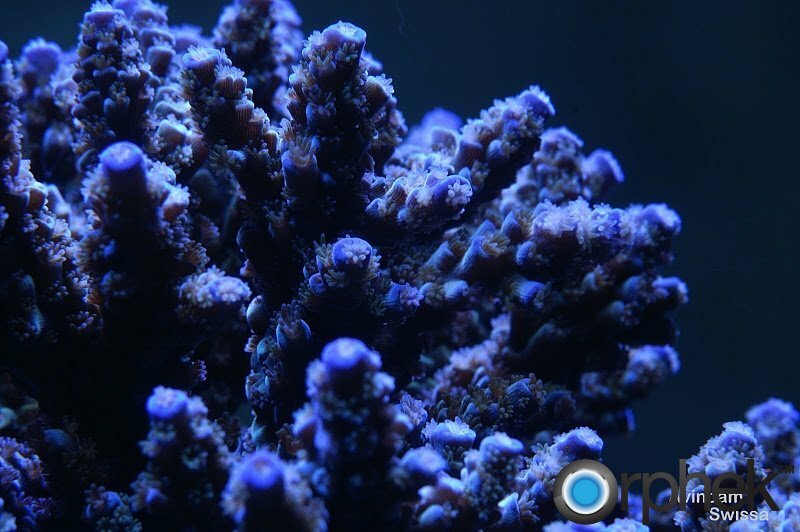 To understand the reasoning for this, you must first understand the spectral wavelength and how it affects coral growth, our eyes, and the technology behind Orphek LED lighting for reef systems. The acronym PAR relates to Photosynthetic Available Radiation. This is all light that humans can see and covers a range between 400-700 nanometers. All light in this spectrum range emits radiation and is how wavelengths are measured (nanometers). The radiation in this range is not all useful light for coral growth, and in fact, just a small percentage of it. There are two factors in this range that affect the human eye; brightness and chromacity. As an example, the color white is a bright color, while the color grey is considered to be a less bright version of that same white. In other words, the chromaticity of white and grey is the same while their brightness appears different to our eyes. The reason for this is that the human eye is more sensitive to brightness in certain colors. The yellow and green spectrum is especially dominant which means that green will appear much brighter than the same light intensity of light in the blue spectrum. This is where the common misconception lies among aquarists regarding LED lighting; “the light isn’t as bright as metal halides”. The acronym PUR relates to Photosynthetic Usable Radiation. This is the spectral range of light that is most beneficial to coral growth and has two ranges; 400-550 and 620-700. This also happens to be in the spectrum ranges where light intensity is the least sensitive to our eyes. 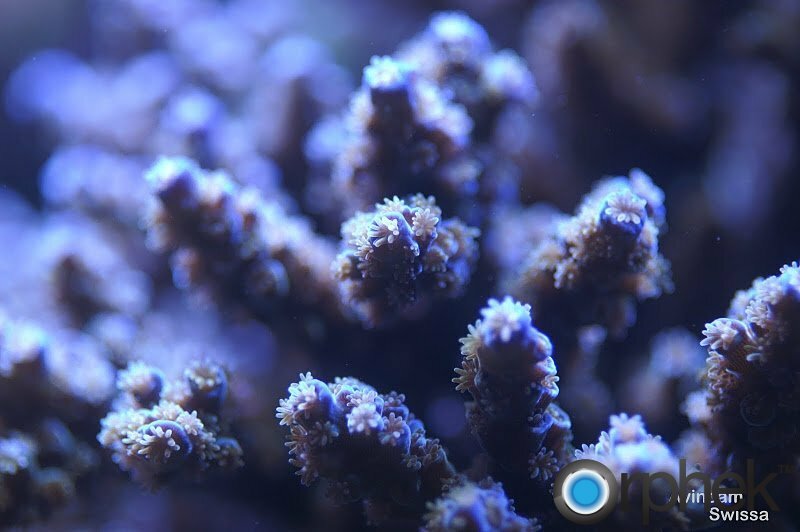 The reason high PAR values or intensity is achieved with metal halide lighting is that Quantum meters measure the light being emitted throughout the visible spectrum of light (400-700nm) and much of this light is not useable for coral growth. The actual PAR values of the useable light (PUR) would be more like 100-150. Orphek’s white LED technology allows more white light to be used and less blue. 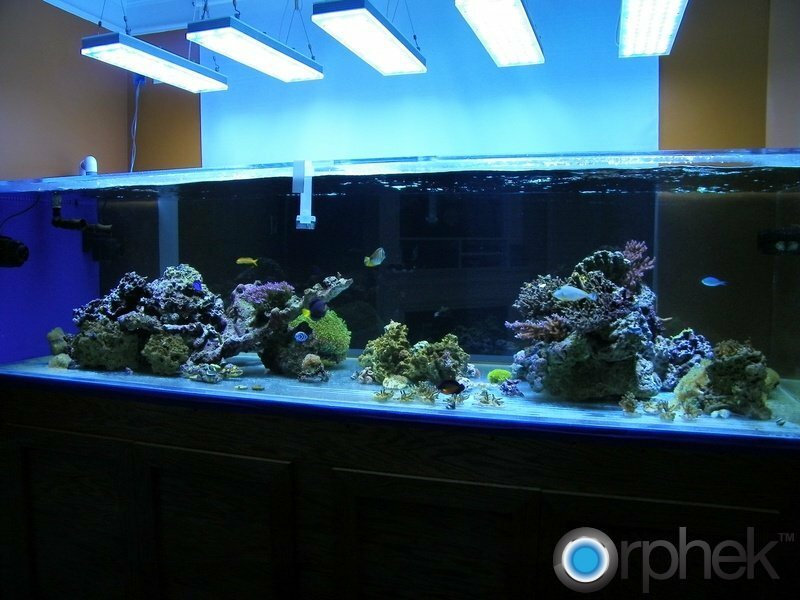 The benefit of this technology is more lumens per watt which significantly raises PAR/PUR values and allows excellent coral growth with less heat and wasted energy. Some companies use standard off the shelf Cree LEDs which have a higher lumens per watt and a shift toward the green spectrum which makes them appear bright. Unfortunately, the only use green has is to promote nuisance algae growth in your system. 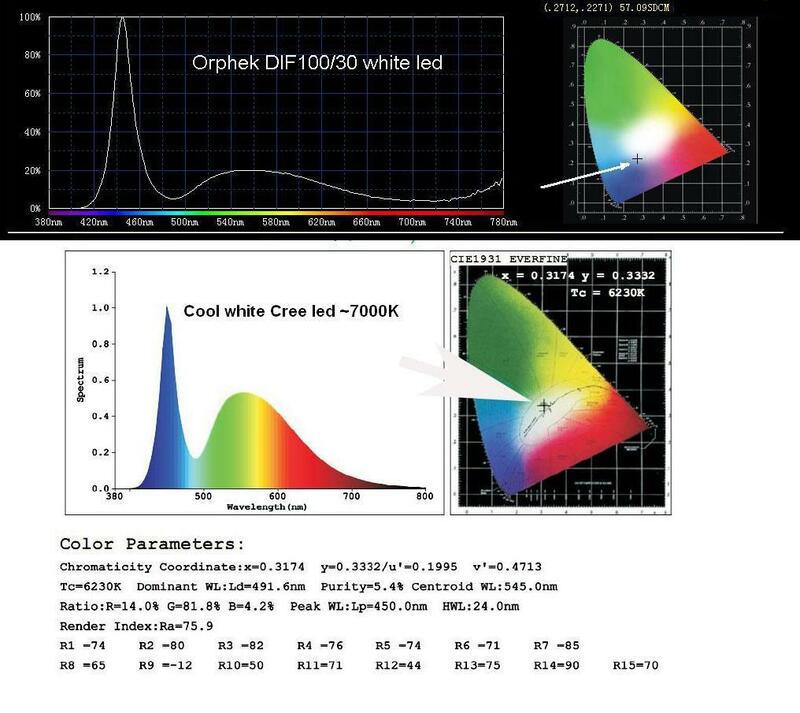 The graphs below compare Orphek’s 16,000K white LED with a Cree 7,000K LED. You can see in the chromacity chart (bottom right) where the Cree LED has a large color shift toward green and a color rendering index (CRI) of 75. Orphek’s white LED technology allows our LEDs to produce light that mimics 18,000K while producing very high PUR per watt levels. This is why it is very important to view a spectrograph of a LED fixture you intend to purchase. As the above Cree graph depicts, there is much wasted energy between 500 and 580nm (about 50%) as this spectrum of light is not of much use for coral growth and lowers the needed PUR value. This is why PAR values can be misleading without understanding the spectrum and spectrographs. The Cree white LED spectrograph would likely result in a higher lumens per watt ratio than the Orphek white LED, but not when you mix one Cree LED and one Cree blue LED to get the 18,000K look. This is due to the fact that blue LEDs have a very low lumens per watt ratio. In the Cree spectrograph there is wasted energy in wavelengths (500-575nm) that are of no use for coral growth. So if we compare the Orphek spectrograph to the Cree, the Cree would result in a higher lumens per watt value. It is understandable why some companies use the Cree LEDs and it’s because of their high lumens per watt ratio. It must be understood that an excessive shift toward the green spectrum results in a lower PUR level. 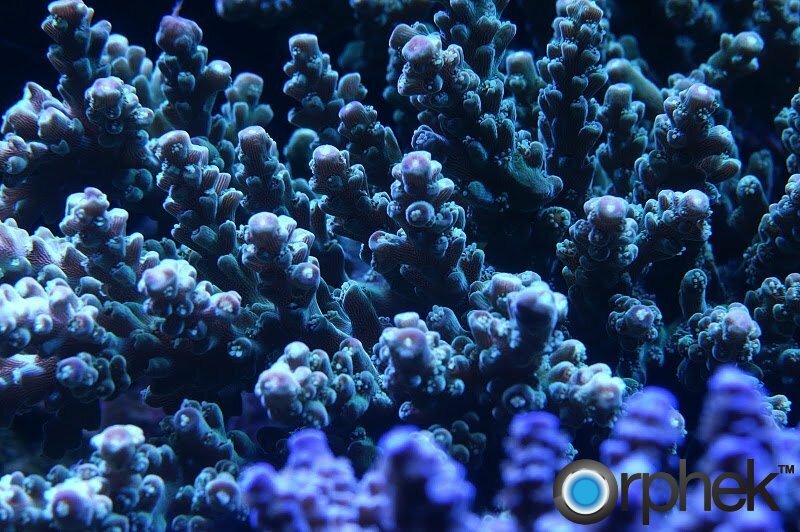 The Orphek spectrograph clearly illustrates that our LEDs are more beneficial for coral growth because the wavelengths are tuned to the light spectrum (PUR) that benefit corals and not other wavelengths that are of no use for growing corals. 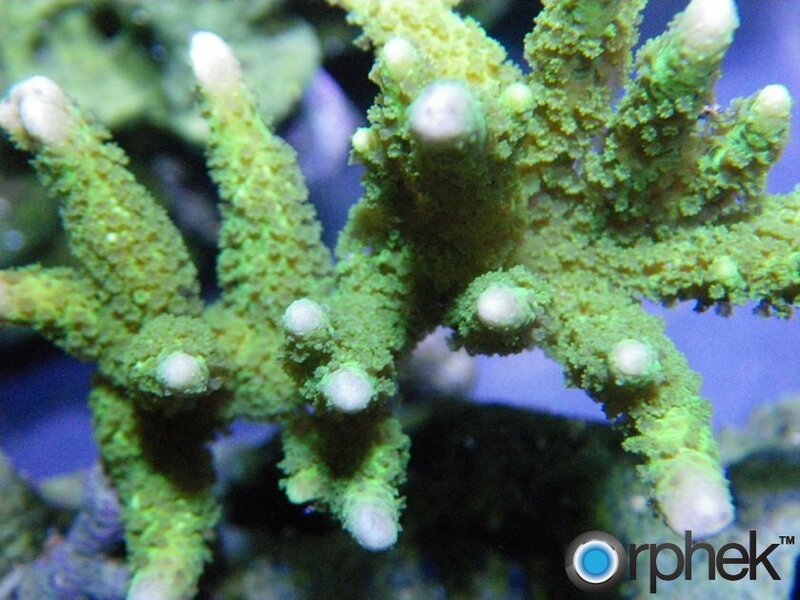 High intensity in the green and yellow spectrum negatively affects coral and anemone growth. The Orphek chromacity graph shows a shift to blue and red (chlorophyll A and B) which is beneficial for coral growth. 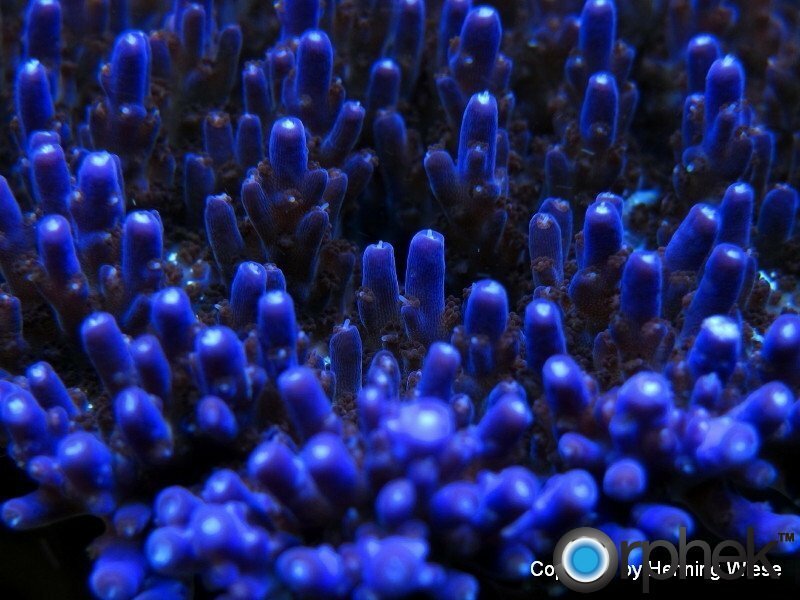 It cannot be stressed enough that high PAR values in LED lighting fixtures do not necessarily mean the light is going to be better for growing corals.